An artist who paints abstract painting by using wood glue. 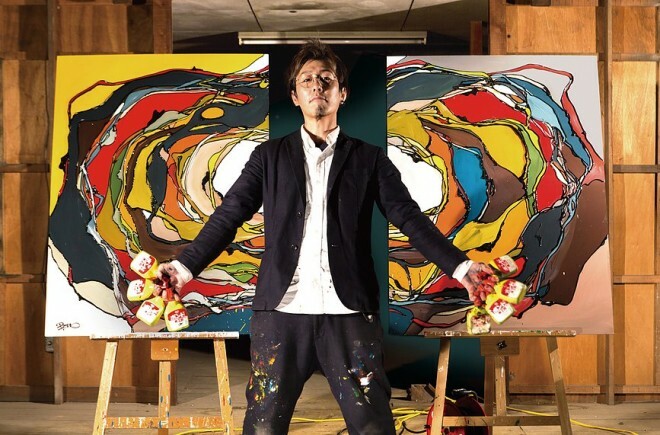 He performs live painting events and art therapy on his theme, “connect (bond) a person to a person and a heart to a heart”. Annual consumption of wood glue is about 500. 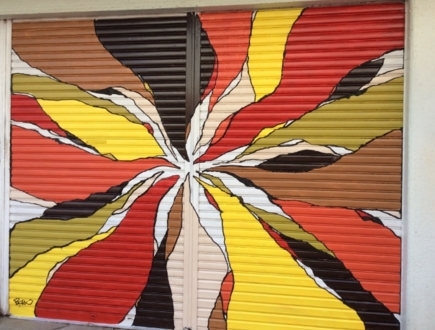 His “bond art” using original technique of three dimensional, high gloss black outlining was highly admired at “Art Expo NY 2014” and he signed a contract for his representation with Michele Mariaud Gallery. 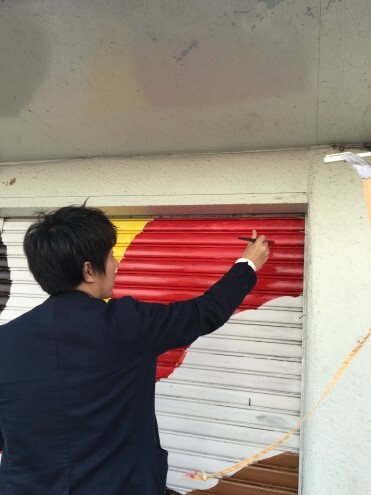 He strives to contribute in “art in brain research”, and to connect art and medical care service by hosting workshops in cooperation with art therapy seminar of Fukushi University, and group homes for dementia and mental disability patients. He appeals to the public about the value of “outsider art “by engaging in occupational therapy and public relations for “art by disabled”. His dream is to be the most influential artist in the world. Copyright © aiparetto All Rights Reserved.